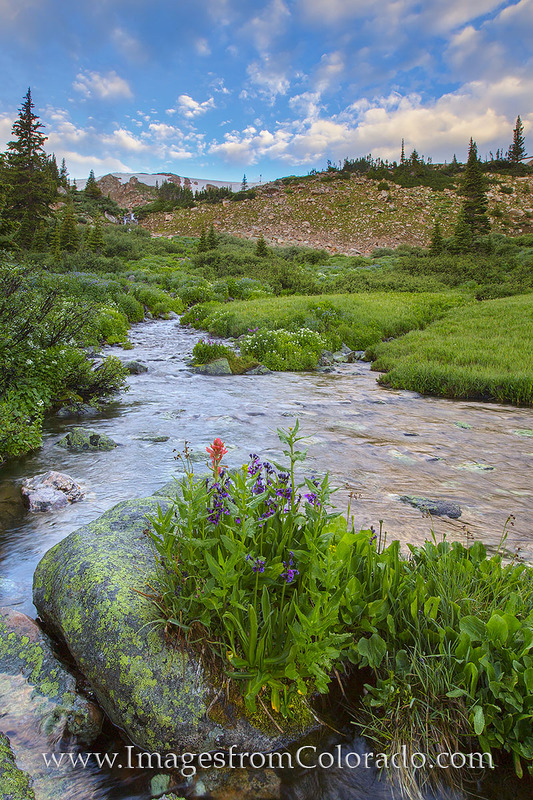 Lupine and a single red paintbrush bloom in the middle of a high mountain stream on Berthoud Pass near Winter Park, Colorado. Scenes like this are why I roll out of bed well before sunrise and make the steep hike up a ridge. Photo © copyright by Rob Greebon.